At Canberra Dental Care we offer a full range of general dental treatments. We offer cosmetic dental solutions which include tooth whitening (see separate tab) and veneers. 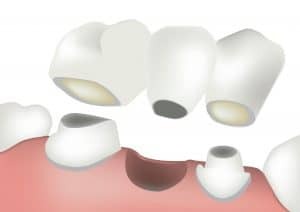 Restorative solutions are based around crowns, bridges and implants. All of which will give you confidence to smile. Often things go wrong with teeth and we offer root canal treatment and fillings to remove pain when eating and drinking. Cosmetic dentistry is a mix of art and dental science. Through recent advancements in the field of modern dentistry it is possible to restore nearly every smile to a bright white healthy look. Even the most subtle change in your smile can make a dramatic difference in the way you look and feel. A smile makeover will change your life. It helps you look and feel your best, a smile makeover will enhance your confidence and improve your self-esteem. Smile makeovers combine several cosmetic dentistry treatments to help you achieve the perfect smile. These treatments may include; tooth whitening, porcelain veneers, porcelain crowns and dental implants. We recommend visiting us every six months for a thorough examination and clean. During this appointment we will conduct an examination of your teeth and gums. If you experience any pain or discomfort in between your routine check-ups please make an appointment as soon as possible. If any issues are identified your dentist will talk to you about what has happened and what options are available. Some of the most common options are below with further information available if you click on the image. Deep tooth decay, or an injury, can cause serious damage and infection to the pulp’s nerves and vessels. If this is left untreated an abscess could spread to the bone outside of the tooth which may degenerate causing tooth loss. Teeth are held in the jaws by their roots. Front teeth normally have one root, teeth further back have more. At the core of each tooth is a soft mass of tissue called the pulp. Tooth decay or injury can destroy the living pulp and make it more prone to infection. This can lead to an abscess and toothache. Root fillings are carried out to remove the damaged or dead pulp. The space left can then be filled to prevent any further infection getting in. An x-ray can show the number and shape of the root canals and also signs of infection (an abscess) in the surrounding bone. Using special instruments called files, the inflamed or infected nerve tissue is removed from inside the tooth. Anti-inflammatory and anti-bacterial medicines are then put inside the tooth to help stop inflammation and infection. At Canberra Dental Care our dentists have undergone special training in the latest endodontic techniques. We generally use rotary nickel-titanium files, which contributes to more efficient, predictable and pain free Root Canal Treatments. 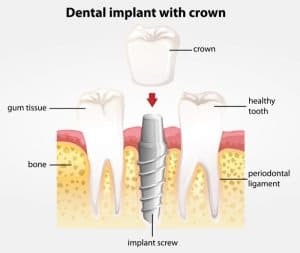 Usually a tooth that has had Root Canal Treatment will require a crown to protect, strengthen and seal the tooth. This is best done soon after the root canal treatment is completed. We take every care ensuring a comfortable procedure. The majority of people who have undergone Root Canal Treatment typically report that the process itself is no more involved than having a filling placed. Root Canal Treatment eliminates nerve problems and abscesses, avoids tooth extraction and is far more cost effective in the long term.